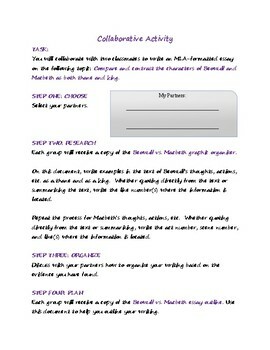 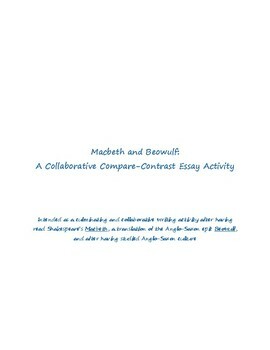 This is a step-by-step lesson for students to write a compare-contrast essay about Beowulf and Macbeth. 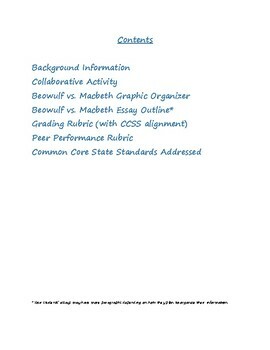 This product includes graphic organizers for students to collaborate on and plan our their writing as well as a grading rubric aligned to ELA CCSS and peer review forms. 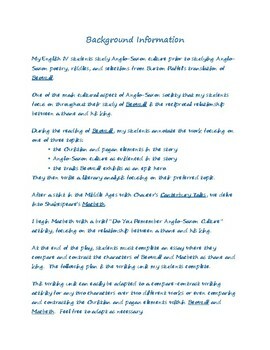 This product could be adapted to any compare-contrast topic.